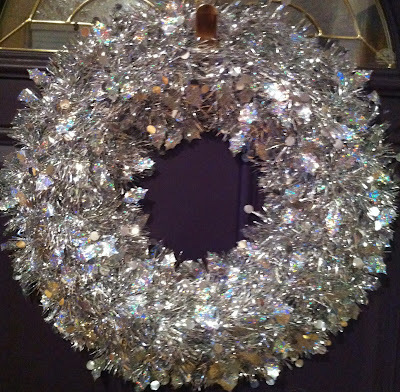 I do decorate my house a little for Christmas. 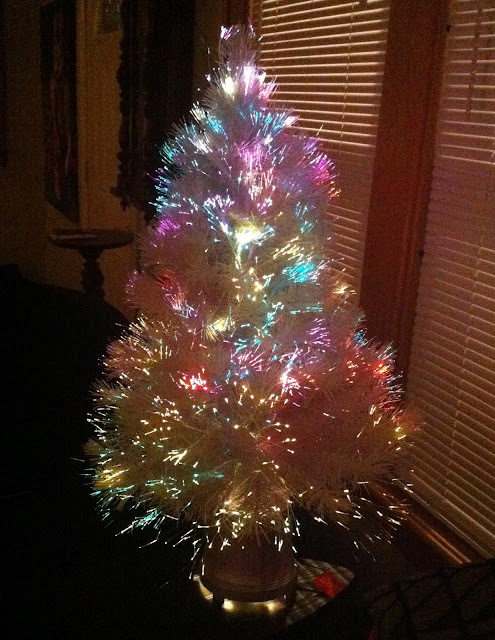 This tabletop fiberoptic tree is the only tree I put up every year. 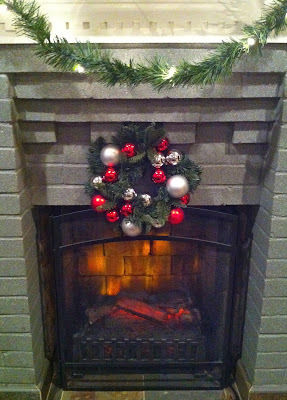 Because I don't put up a traditional looking tree, I like lit garlands. They make the house feel cozy. The candle was a gift from my husband's brother who lives in Denmark. 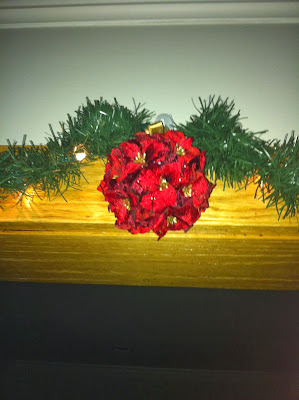 The wreath thingy surrounding the base of it came from my grandparents house. 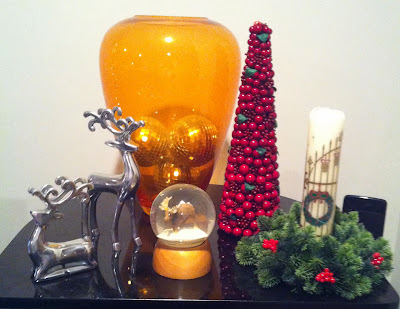 The moose in the snow globe, which was a gift from my parents, is wearing a wreath. The silver reindeer and berry tree are from Target. 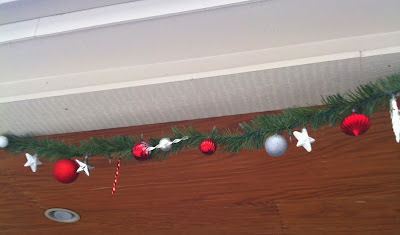 This is a pre-lit garland that I wired some ornaments onto. 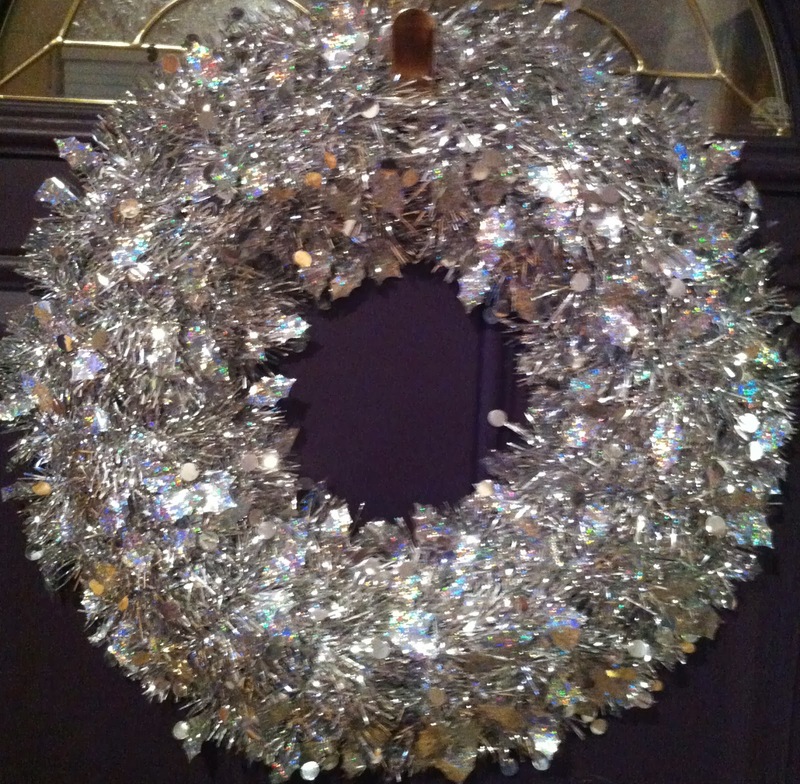 Would you expect anything other than a sparkly wreath on my front door? 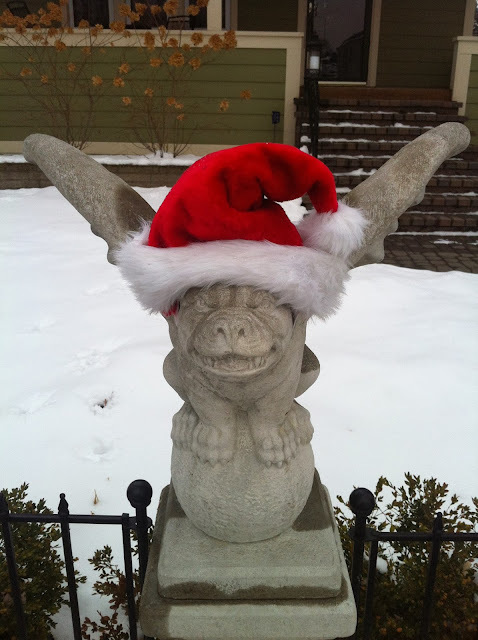 The gargoyles are wearing their Santa hats! 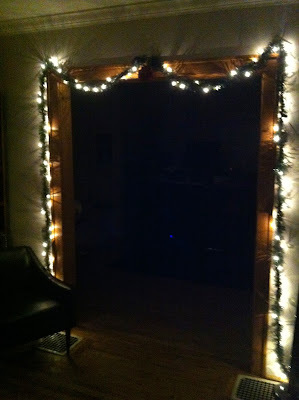 A story about the fiberoptic tree: The first Christmas my husband and I spent together (9 years ago! ), my family was traveling in Europe. I couldn't go with them because I was working in retail and of course couldn't take any time off around the holiday. So, my husband (then boyfriend) and I spent Christmas at his house, just the two of us. He's a guy, so he didn't have any holiday decorations, and I do like having something Christmas-y around on the actual day to make it feel more special than just a regular day. So, I secretly brought over my little fiberoptic tree and surprised him when I whipped it out of the box and put it up. We plugged it in and basked in its glow the rest of the day. It's a story he still likes to tell (as in "hey remember our first Christmas together when you brought over that tree?") every time I pull it out of the box. That tree is very pretty. And so much more low maintenance than a real one. Ornaments do make perfect kitty toys--at least in their eyes! 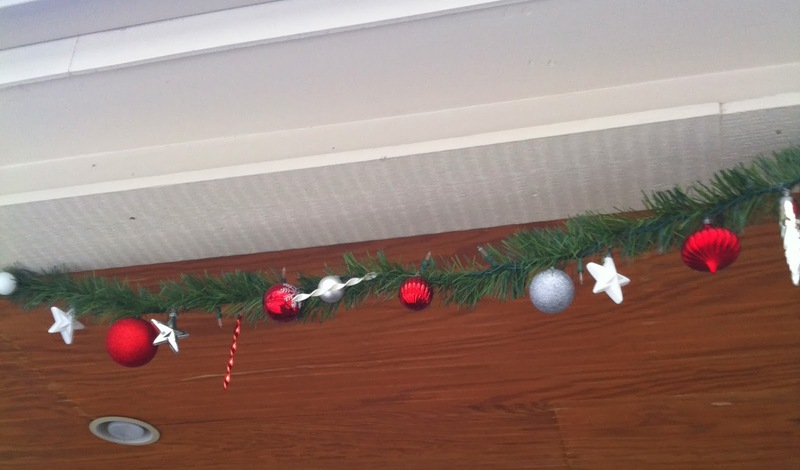 There's something about a $3 tree that's sort of Charlie Brown-esque. I never thought about putting New Year's hats on the gargoyles... I wish I had a dragon statue. I was born in the Chinese year of the dragon, so I'm big fans of them.